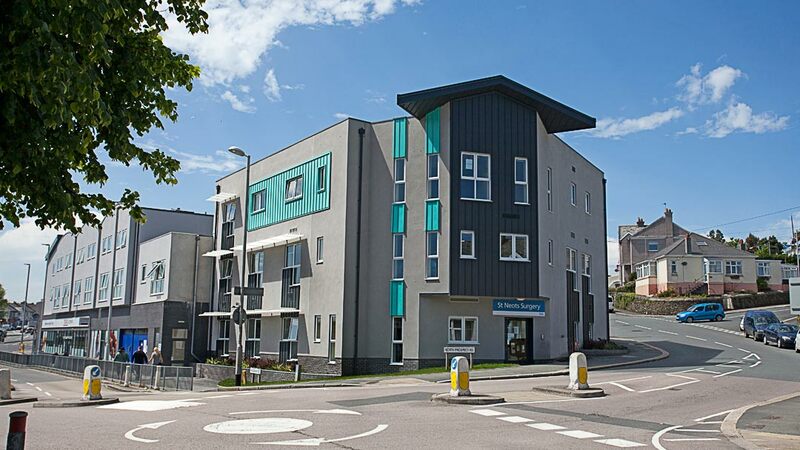 New medical surgery facility for General Practitioners in North Prospect, Plymouth. 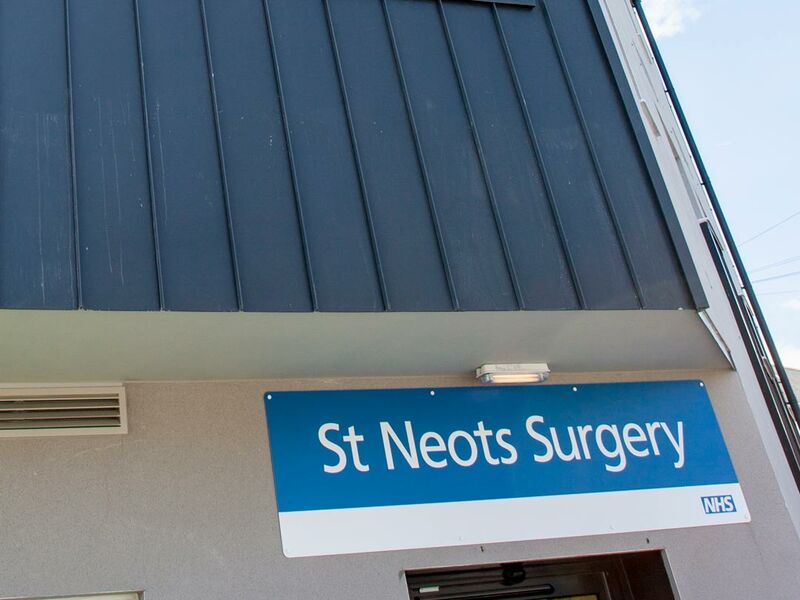 The previous centre occupied an existing converted dwelling that was not fit for purpose, with a growing patient list, a new purpose-built facility was needed. The site allocated was highly visible facing onto a roundabout, on one of the main arterial routes through the city. 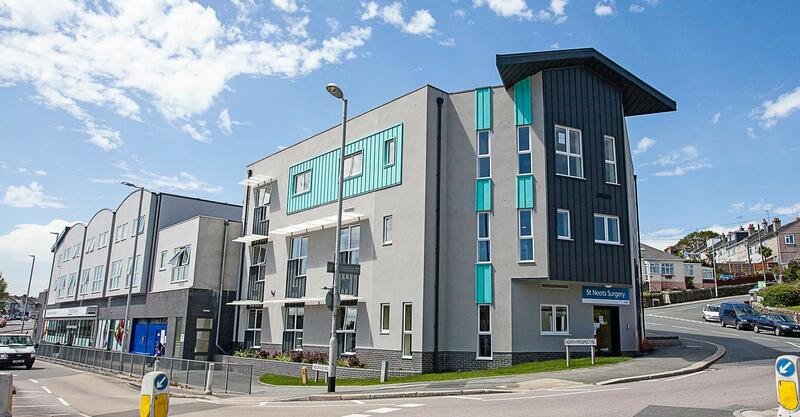 The new 9,000 sq feet facility, across three floors, provides 10 spacious doctors consulting rooms, 3 health care assistant rooms and 2 state of the art treatment rooms across the ground and first floor. The second floor houses numerous offices, a staff room and large multi-purpose meeting or training room that can be subdivided into two smaller spaces. 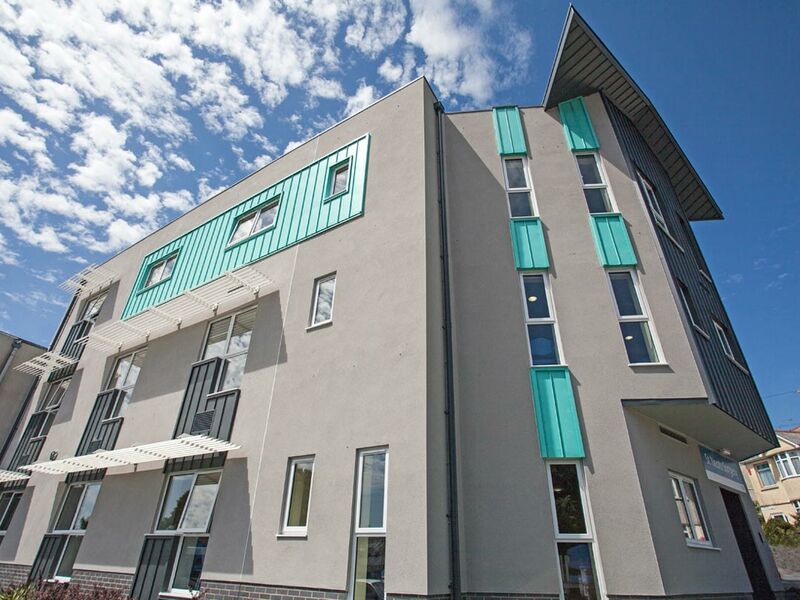 All areas of the building are fully inclusive and comply with the relevant HBN (Heath Building Note) and HTM (Heath Technical Memorandum) documents. 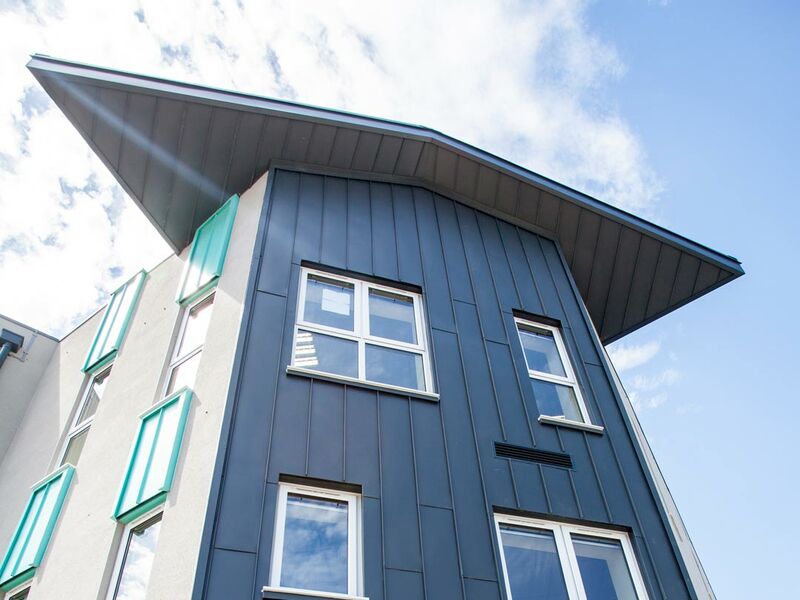 High levels of insulation and a low air tightness were achieved to lower the running costs of the building with PV’s (photovoltaic cells) installed on the flat roof to provide free electricity. The building design accounts for an holistic energy philosophy which achieves low energy costs while ensuring the building does not overheat. The building has been designed to cater for the forecast growth of 5-10 years of up to 11,000 patients.